Having understood the main features of Scheme well enough to be able to make some music with Impromptu, I quickly realised that for me, coming from SuperCollider, I found it a bit strange working with those Audio Unit synths. There are some cool synths out there, but the time spent on tweaking them to achieve the right sound is longer than I was comfortable with. I just wanted to design my own synthesis. This is obviously a strong habit that I’ve built up by using SuperCollider for many years and could be seen as quite eccentric. Why would one need to know every parameter and ingredient of the synth if it sounds good? But for me, I want to know what is happening in there. I want to know how many oscillators are being used, passed through which filters and effects. So I decided to use SuperCollider for audio synthesis. Three options present themselves here: a) Exporting SuperCollider synths as Audio Units. This is currently not working very well, as AUs made in SC only work as aumf and not aumu (for those that understand Core Audio). b) use Rohan Drape’s rsc3 Scheme client for SuperCollider. This was not so appealing as I want to work in Impromptu and many of the functions in Rohan’s Scheme don’t work there. Furthermore, it does not appeal to me to write synthdefs in Scheme, since I dream them in SC lang. c) control the SC server from Impromptu from OSC, practically making a new SC client in Impromptu. This was the most appealing option as I want to use the image and video capacity of Impromptu, and moreover, with the new Impromptu 2.5, it should be much faster than rsc3. Impromptu 2.5!!! What a feast! With a new compiler which allows for a JIT compilation of Scheme code into LLVM machine code. This means that code can be written in Scheme that functions on par with C code in terms of speed, allowing for real-time synthesis of audio. This is my next step of Impromptu investigation. Anyway, the SCIMP Impromptu SuperCollider client can be found here. The code went through various manifestations representing different programming paradigms. I had a rather complex client structure built up of object oriented inspired design where synths, nodes, groups, buffers and busses could be instantiated as objects and had methods reflecting those of SC Server clients such as SC lang, ScalaCollider, JCollider, scosc in Python, etc. But it gradually became clear, reflecting upon the code I’ve seen in Scheme that this is not the way Scheme flows. So the result is code that should reflect pretty much how Impromptu functions such as play-note work. The code is experimental and should be considered alpha. Direct link to the library can be found here. ;; although it does still call animals speak through super. ;; and add our own line for ducks! (speak k9) ;; oops k9 shouldn't bark! (print name 'is 'old age 'says "Yes Master"
So everything possible in Scheme. Andrew Sorensen even posted a super effective object system on the list which I will post in the next blog since it deserves a special attention. The most interesting thing for me, going through all these structures of thinking and trying to implement them in Scheme, is the realisation that they are actually not needed. I have now finished a SuperCollider Synth client for Impromptu (I will post here about that as well). This allows for a total control over SC synth rather than AUs. During that work, I realised that I should follow the flow of Scheme and not strive to implement the above structures into my client. And things became extremely easy! Although most SC clients tend to build up a strong Synth, Node, Bus, Buffer and Group structures, those are actually not needed in the way Scheme flows. I have learned to think programming increasingly in the form of dynamics rather than form, of movement rather than objects, of verbs rather than nouns. I’m not sure if this makes much sense, but I would be interested in any literature that would point at how different programming languages enable different structures of thinking. Tips anyone? I once started a blog post about the strangeness in thinking recursively, but never posted it. 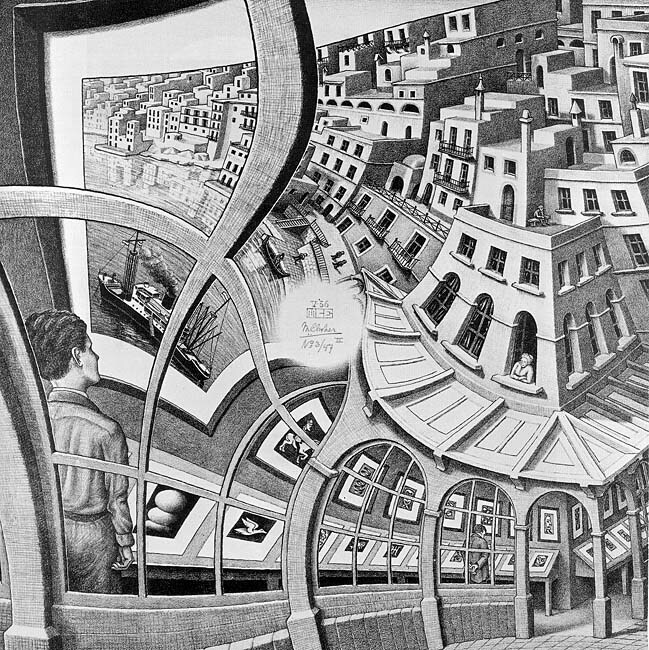 I was wondering if thinking in recursions would require practice, a special mind set or if it simply was ineffective compared to iterations. I did find the two filter-out-of-a-list functions in Impromptu and SuperCollider very different ways of sorting items out of a list. For some reason I found the SC function a very natural way of thinking, but the Scheme one not. I wonder if it would have been the other way around if I had learned Scheme first? When he really understands, a mountain is a mountain. Not that I’ve reached any deep understanding of Scheme, but at least I must have grasped recursions. Benchmarking is a good way to see if one’s code is effective. The various programming solutions can be compared by taking the time it takes for the interpreter to compute the function. Benchmarking normally works in the way that the system time is taken before performing the function, then the function is applied, and finally the time is taken again, subsequently subtracted by the first time. Lazy evaluation is probably not the right description of what is happening in the SC bench function. There the function itself is passed and evaluated in the right place. (between the two time samples). This is obviously not very scientific but gives some indication, although the resulting times vary quite a lot. It is clear that the iterative function that uses (dotimes) is twice slower than the others. In general the (populateR) function is the fastest one, probably because it is not using (apply) as the (populateRA) function. Interestingly, this is a bit slower than the methods above. I checked if it is a macro, and it’s not. Finally I found it in the Impromptu.scm file in the Impromptu.app Resources. It is doing the loop, and it is evaluating the function that is passed to it as well. I think this explains why it is slightly slower. time to run: 6.3839999995707e-05 seconds. So Impromptu seems to be around 10 times slower than Python and SC for these types of operations. Obviously this comparison can be flawed as I am no benchmarking specialist, but this is what meets the eye at first glance. Furthermore, with an array of 22000 it takes Python 0.0062 seconds and SuperCollider 0.00972 seconds. In Impromptu, the benchmark time using make-list-with-proc takes 0.1139 seconds, and using the populateR method 0.1197 seconds. These problems that I’m stumbling into are hardly problems for music making in Impromptu. If one schedules musical events ahead of time, functions should be able to finish before the event, and one is not likely to make an array of 130000 items, except if wanting to work on sample operations. I am curious about these “shortcomings” of Impromptu though. Recursion can be a hard nut to crack, but in reality it is quite simple, as the Python printing shows. Nice and easy in principle. But what if one wants to populate a list with items from 0 to n? I don’t find that very elegant. Could this not be done inside the function? And why the need for an extra argument? So some digging around and some help from the very helpful Impromptu mailing list made this an interesting excursion into recursion. This looked good to me and I was happy to have found the solution to my conceptual problems, but then I read this: “Purely functional languages do not support iteration AT ALL. This is because iteration requires mutable state. In your populateI example set! *changes* the values bound to both “counter” and “ls”. In other words set! mutates “counter” and “ls” introducing mutable state into your program. Mutable state is not allowed in purely functional languages – such as Haskell. Scheme sits pragmatically in the middle (Haskellers would say it sits imperfectly in the middle :-). So a warning: mutable states ahead! (an interesting discussion I came across related to this can be found here). It is not a recommended practice, but I wonder what it means in terms of speed and optimisation (see my next post). Here the cnt is set to 0 in the beginning, but in every recursion it is increasing. Finally, one can populate this list without an inner loop by using the apply function and passing the growing list into the function repeatedly (through lambda (n . args)). So here we go, no mutable state, no state at all actually, just a recursion that returns the list in ascending order. From these “tricks” above, I am now able to write any list manipulation functions that I want. Some of these are obviously already in Scheme, but some not. I feel that I am now able to do much of what I would need for algorithmic music composition using Impromptu. I feel that I’m at a stage where I can really start to compose music, although my code will look silly and unoptimised for some time to come. Next topics of study are the uses of map, apply and then soon the use of macros. So, little activity here for the last month. Academic duties and paper writing took over all my free time, in addition to a conference trip to Australia. (NIME). Even if activities on these pages have not been many, there was much Impromptu going on down under (Impromptu is the indigenous Australian Music Programming Language). We had some good coding sessions on the Sunshine Coast north of Brisbane (where, impressively, Nick Collins and Andrew Sorensen made a SuperCollider Unit Generator that can be live coded from Impromptu : ) and then an Impromptu workshop at NIME in Sydney. I also performed in a live coding gig which was a Club Night at NIME. There Andrew Brown, Andrew Sorensen, myself, Anthony Ptak and Mark Havrilyv and Mei-Ling Dubrau all coded away in quite a successful evening. It is clear how live coding is maturing as a performance form, as the tools become more advanced and skills improve. The gig in the Excelicior Club was good, with some impressive performances and the audience was very receptive to the music. Moreover, I’m getting a rough conception of Scheme as a language with very little syntax or inbuilt functions. In reality Scheme is not a language but an abstract syntax tree in which you write your own language. This excites me. Also, the fact that there is no real difference between data and the language seems quite interesting in terms of realtime alterations of code through live coding. The language can be modified the same way as one modifies data on the fly. (car returns the first item of the pair, whilst cdr returns the second item, or the remainder of the list). but I’m not seeing straight getters and setters right now. Perhaps I’ll have to dig more. Anyway, I had a go at writing my own access function. (I shouldn’t really be blogging (bragging? ha ha ha) about something that I haven’t found a solution for, but then again, it is nice to document where I’m at at this moment in time. In any case I’m sure there are some “at” list methods in Scheme anyway).